The Law Offices of Richard M. Bing, P.C. is a full-service law firm with offices in Richmond and Virginia Beach, Virginia. We are a general practice firm with emphasis on Domestic Relations & Family Law, Personal Injury Law, Criminal & Traffic defense, Commercial & Business Law, Franchise Law, and Trials & Appeals. Our firm can handle all of your legal needs. 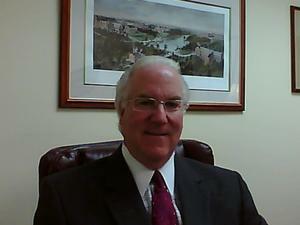 Whether it be the representation in a traffic case, such as a speeding or reckless driving charge, the handling of a divorce, the representation of a personal injury claim, the formation of a corporation, partnership, or limited liability company (Mr. Bing serves as legal counsel and has been the organizing counsel for dozens of stock and non-stock corporations), the representation in the sale or purchase of a business, or a whole host of other legal matters, our firm is well equipped to offer the highest quality of legal representation. Our goal on behalf of our clients is to resolve the legal issue as expeditiously as possible and without the need for undue litigation. We strive to streamline the process and get the matter resolved on terms favorable to our clients whenever we possibly can. However, we are well aware that, at times, certain matters can only be resolved in court. In such instances we are aggressive in pursuing justice on behalf of our clients. Accordingly, we have appeared in Juvenile & Domestic Relations District Courts, General District Courts, and Circuit Courts throughout the Commonwealth of Virginia on behalf of our clients. We regularly appear in all of these Courts in Central and Eastern Virginia (from Fredericksburg and Charlottesville through Richmond and down through Southside Virginia and Hampton Roads). Mr. Bing has appeared in courts in nearly 80 different jurisdictions throughout the Commonwealth of Virginia and is quite familiar and comfortable with all of the courts in which he has tried cases. We also appear in the United States District Courts (Federal Court) throughout Virginia. We have also represented clients in Federal Courts on various matters in several states throughout the country. Regardless of whether the case is an in-court or out-of-court matter, we endeavor to keep our clients fully informed of developments every step of the way. The only way to fully resolve a conflict is with the very active participation and fully informed consent of our clients. While we are in court nearly every day dealing with legal issues, we are cognizant of the fact that this might well be the only time you have ever been in such a circumstance. We never lose sight of this fact and are guided by the principle that we work for you. When you need legal assistance you want someone who will listen to you, hear your problem, and deliver the best and most aggresive representation available. You want someone who has over thirty years of solid experience in the practice of law and who has a proven track record of accomplishment. We are that firm! Our firm has been serving the legal needs of Virginians and others for over thirty years with the highest quality of legal services. We would be honored to be entrusted with your confidence in solving your legal problem. Our Office has been a plan participant for many years in the following pre-paid legal service plans: Legal Club of America, Inc., Pre-Paid Legal Services, Inc., Hyatt Legal Plans, Inc., Legal Resources, Inc. and ARAG, Inc.
Richard Bing has consistently been recognized for his outstanding legal skills by being listed in the prestigious Marquis "Who's Who in American Law" and "Who's Who in America" each year since 1990. He is rated among the top in his profession by Martindale-Hubbell rating service. Mr. Bing is a 1972 graduate of the University of Richmond with a B.A. Degree in English. He is a 1978 graduate of the T.C. Williams School of Law of the University of Richmond with a J.D. Degree, where he was a staff member of the University of Richmond Law Review. As an undergraduate, he was a starting pitcher and four-year letterman on the Spider baseball team culminating in the Spiders' winning the 1972 Southern Conference Championship and the Virginia Big Five Championship. He pitched in two of Richmond's games in the 1972 NCAA Baseball Tournament held in Gastonia, North Carolina against the University of Virginia and Florida State University. While in law school he served as an assistant baseball coach for the Spiders, working with the pitching staff. Mr. Bing has successfully litigated cases throughout Virginia, both at the State and Federal level. In addition, he has litigated cases in Federal Courts in the States of Maryland, Pennsylvania, New York, Illinois, Ohio, North Carolina, South Carolina, and Washington, D.C. 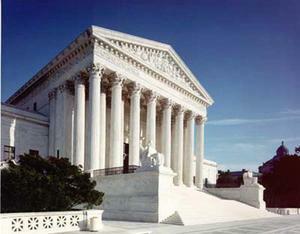 He has also represented clients in the appeal of cases before the United States Supreme Court. Arnold v. Amoco Oil Company, 872 F. Supp. 1493, [W.D. VA, Roanoke Division 1995]; Ibrahim v. Exxon, U. S. District Court, E.D. VA, Alexandria Division, (1985); Mobil Oil v. Virginia Gasoline Marketers, 34 F. 3d 220 [E.D. 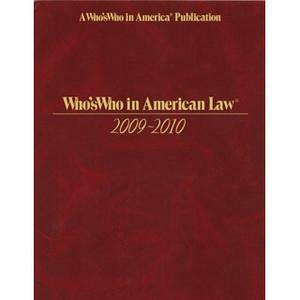 VA, Richmond Division 1994]; Crown Central Petroleum Corp. v. Frank Hill, t/a Cedar Road Amoco, 488 S.E. 2d 345, 254 Va. 88, Virginia Supreme Court (1997); Myung Kap Lee v. Exxon, U. S. District Court, E.D. VA, Norfolk Division, (1992); Matthews v. Tasty Baking Company, Inc., U. S. District Court, E.D. VA, Richmond Division, (1992); Barnes v. Gulf Oil Co. I, 795 F. 2d 358, 4th Circuit Court of Appeals, Richmond, (1986); Barnes v. Gulf Oil Co. II, 824 F. 2d 300, 4th Circuit Court of Appeals, Baltimore, (1987); Beachler v. Amoco Oil Co., 112 F. 3d 902, 7th Circuit Court of Appeals, Chicago, (1997); Tate v. Smith Oil Company, Bristol Circuit Court (1994); Simmons v. Amoco Oil Co., U. S. District Court, E.D. VA, Richmond Division, (1990); Sebera v. Exxon, U. S. District Court, E.D. VA, Richmond Division, (1992); Plattsburgh Plaza Shell v. W.A. Sandri, Inc., N.D. N.Y, Albany Division (1990), 2nd Circuit Court of Appeals, New York, (1991); Dickerson v. Texaco, U. S. District Court, W.D. VA, Charlottesville Division, (1985); A. W. Anderson, et als. v. Chevron Corp., 933 F. Supp. 52 [District Court for the District of Columbia (1996)]; Mueller v. Charlottesville Oil Co., U. S. District Court, W.D. VA, Charlottesville Division, (1987); Commonwealth of Virginia v. Richard Small, 402 S. E. 2d 927, Virginia Court of Appeals, (1991); Adamo v. Bailey Oil Co., Williamsburg James City Circuit Court, (1996); Verner, et. als. v. Exxon, U. S. District Court, W.D. PA, Pittsburgh, (1996); Coiner v. Coiner, [Record #1848-97-2] Virginia Court of Appeals (1997); Warren v. Carter, Chesterfield Circuit Court (1999); Lynton v. Berbes, Waynesboro Circuit Court, (1998); Rental Uniform Service v. Murphey, Warren Circuit Court (1985); Thompson v. Four Star Pizza, Inc., U. S. District Court W.D. PA., Pittsburgh (1991); Beach-Robo, Inc. v. Crown Central Petroleum Corp., 372 S.E. 2d 144, 236 Va. 131, Virginia Supreme Court (1988); Mobil Oil v. Virginia Gasoline Marketers, cert. denied __ U.S. __, 115 S. Ct. 1097, 130 L. Ed. 2d 1065, United States Supreme Court (1995); and Hinkleman v. Shell Oil Co., 962 F. 2d 372 (4th Cir. ), cert. denied __ U.S. __, 113 S. Ct. 831, 121 L. Ed. 2d 701, United States Supreme Court (1992). We consider the representation of our clients as a valuable entrustment. Our clients have placed their trust and confidence in us with their problems and we work with our clients very closely to achieve the desired result. We believe that constant communication with the client during the representation is paramount to a successful outcome. We look forward to having the opportunity to work for you in whatever legal need you may have. Give us a call and we will be pleased to talk with you with no obligation. If, for some reason, we have a conflict such that we are precluded from handling your case, or otherwise can't be of assistance, we will be pleased to provide you with names of other attorneys in your area who might be able to assist you with your situation. Let us have an opportunity to work for you to achieve the result you envision. Complimentary consultation offered.